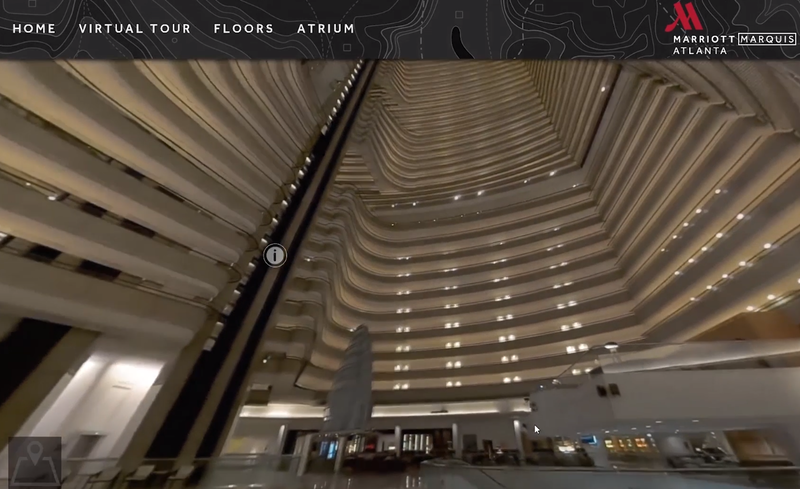 Introducing the first-of-its-kind virtual tour experience, the Marriott Marquis now provides their sales and events team with a groundbreaking new way to share their hotel with the world. The 4K 360 video offers an interactive experience with 150 points of interest within the 164,000 square-foot space. Imagine putting an entire hotel in your back pocket and sharing it with the world! This innovative tool will completely replace site visits for meeting and event planners, saving time and money for everyone. From 360 video in one spot to an interactive tour with panoramas in another, planners will be able to enter and explore rooms and travel up and down elevators while discovering so many different virtual aspects throughout the tour. Click here to watch a behind the scenes video short of the VTX experience. To learn more about the development of this advanced technology, read the full press release.